The Nelson Chamisa-led MDC has formally expelled members who defied the party’s directive by registering to stand as independent candidates in the July 30 polls. Over 30 candidates are standing on the MDC Alliance ticket, despite losing the party’s primary elections held recently. Consequently, these have been dismissed from the party, including outgoing member of Parliament for Mabvuku-Tafara, James Maridadi. In the case of Maridadi, the party had tried to convince him to withdraw his candidature, but the former disc jockey has been digging in. In a letter to one of the independent candidates, Chris Jamu, the MDC said it has been left with no option but to wield the axe on errant members. “Your decision to stand as an independent candidate is a breach of the constitution...you are therefore specifically ordered to surrender all party property in your possession and you are also directly stopped from using the MDC Alliance logo and other campaign materials,” reads the letter, in part, signed by MDC chairperson, Morgen Komichi. Komichi said the party was mulling approaching the High Court to stop those who are using the name of the alliance without its approval. He railed at Maridadi for hoodwinking the party leadership into believing that he had withdrawn his candidature with the Zimbabwe Electoral Commission (Zec) when this was not the case. Maridadi had been given up to July 9 to withdraw his candidature but he did not. The deadline was subsequently extended by a day of which there was no evidence of compliance at the time of going to print. “I refer to my various discussions regarding the above matter. I specifically refer to the meeting that took place in the president’s office between yourself and senior leadership including the president, myself and the secretary-general,” Komichi wrote to Maridadi. “At that meeting, you undertook to withdraw as a candidate and, in fact, signed a withdrawal letter. We now know that you went to Zec and uplifted your withdrawal letter, effectively restoring your candidature. “These actions by yourself are serious, dishonourable and amount to insubordination. “Accordingly, you are hereby given up (to) 10 July 2018, 11 am to re-file your withdrawal and serve a stamped letter to my office. “Failure to do this means you would have automatically expelled yourself,” reads part of the letter. Yesterday, Komichi warned MDC Alliance members who are supporting the independent candidates to desist from doing so. Meanwhile, the MDC has sensationally claimed Zanu PF is causing confusion in the party by sponsoring the so-called “rebels” to stand as independent candidates. Komichi claimed yesterday that they have evidence some of the independent candidates were working with Zanu PF. “We know that they are being supported and sponsored by Zanu PF,” said Komichi. 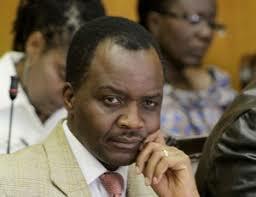 Zanu PF national chairperson, Simon Khaya Moyo, was not immediately available for comment yesterday. Following shambolic primary polls held by the MDC recently, the party has struggled to rein in members who are questioning its decisions and opting to stand as independent candidates at the forthcoming polls. In some constituencies, the party has more than two candidates, including in Mabvuku-Tafara where Maridadi and James Chidhakwa are both contesting on the same ticket.